Summary and Definition: The Shoshone tribe were originally nomadic hunter gatherers who inhabited lands occupied by the Great Basin cultural group. With the advent of the horse the tribe split with many migrating to the Plains and the horse riding and buffalo hunting culture. The most famous Shoshone was Sacajawea who acted as a guide for the Lewis and Clark Expedition. What was the lifestyle and culture of the Shoshone tribe? The Shoshone tribe were originally hunters, fishers and seed gathers from the Great Basin cultural group of Native Indians who were closely related to the Northern Paiute people. The Great Basin social and cultural patterns were those of the non-horse bands. These people were highly skilled basket makers and wove the baskets so closely that they would hold the finest seeds. With the introduction of the horse the tribe migrated to many different areas and adopted different life styles and cultures. For full details of the lifestyle, clothes and grass houses of the Great Basin Shoshone refer to the article on the Bannock Tribe. For information about the lifestyle of the Plains Native Indians, their clothes and their tepees refer to the Kiowa Tribe. The Shoshone began to have extensive contact with white Americans when the Mormons settled at Salt Lake. The most famous leaders and chiefs of the Shoshone tribe included Chief Cameahwait, Chief Pocatello, Chief Little Soldier, Chief Bear Hunter and Chief Washakie. The most famous Native Indian of the Northern Shoshone was Sacajawea who acted as a guide and translator for the Lewis and Clark Expedition. The Shoshone tribe were allied to the Bannock, Crow, Pawnee and Ute tribes. Their mutual enemies were the Arapaho, Sioux and the Cheyenne tribes. During the Civil War the Shoshone raided Pony Express routes, stagecoaches, wagon trains and cut telegraph lines. In 1863 the Shoshone Tribe were defeated at the battle on the Bear River at Bear Hunter's village in which the Shoshone lost 224 people. The Snake War (1864–1868) then erupted. 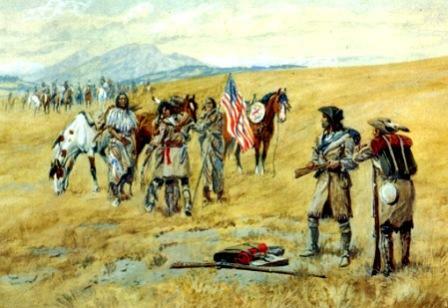 After these defeats, the Shoshone resistance to the white invaders crumbled. What language did the Shoshone tribe speak? 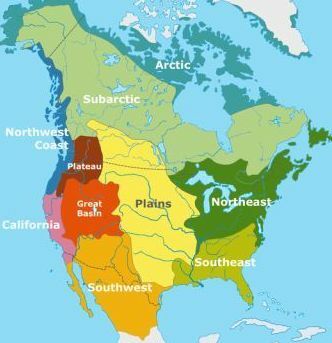 The Shoshone tribe spoke in language, formerly called Plateau Shoshonean which was a division of the Uto-Aztecan language. In their own language the name Shoshone was 'Newi' which meant the People. Shoshones who inhabited the Snake River area in Idaho were called the "Snake People" by the whites. The Shoshone were originally people of the Great Basin Native American cultural group. The Shoshone tribe originally lived in the American Great Basin region but with the advent of the horse many migrated to the Great Plains. The Great Basin with its very hot summers, cold winters and very low levels of rainfall resulted in desolate and difficult living conditions in which the people had to work hard to survive due to limited resources. The Western Shoshone lived in desolate environments. The Goshute band lived on the shores of the Great Salt Lake in Utah, and the Panamint lived in California's Death Valley. The migration of the Shoshone Tribe from the harsh conditions in the Great Basin required a totally different lifestyle to suit the climate and natural resources of the area. The lives of the people of the Shoshone tribe changed from nomadic fishers, and seed gathers to hunter gatherers who followed the great herds of buffalo. The buffalo was the main source of subsistence on the Plains and the food, weapons, houses and style of clothes worn by the Shoshone changed accordingly. Shoshone History Timeline: What happened to the Shoshone tribe? The following history timeline details facts, dates and famous landmarks and battles fought by the Nation. The Shoshone timeline explains what happened to the people of their tribe. The Shoshone tribe have reservations in California, Nevada, Idaho, Utah, and Wyoming.